Nectar Ales | Beer Apprentice - Craft Beer News, Reviews, Interviews and Info. Hello everyone. Thanks for checking back in on another craft beer review. 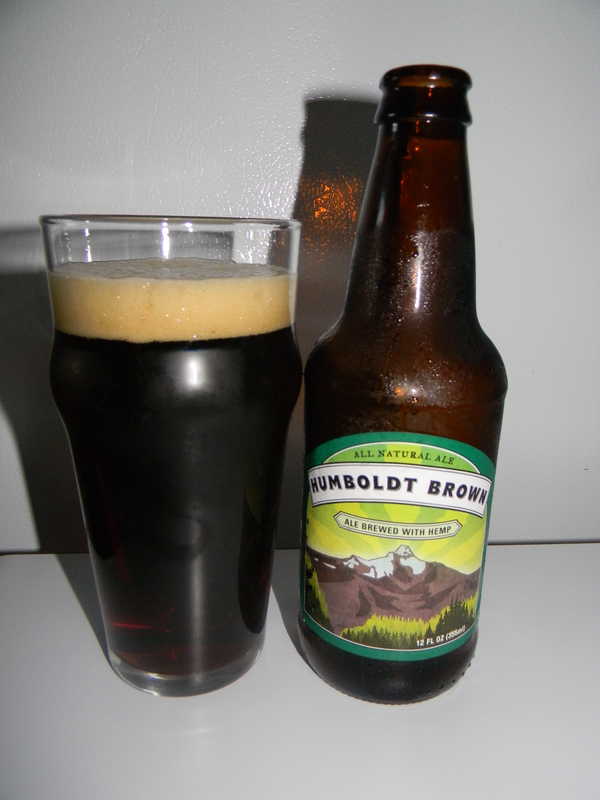 Today, I’m going to be trying the Humbolt Brown (Hemp Ale) produced by the Nectar Ales Brewery located in Paso Robles, California. Obviously, when I saw this sitting on the shelf I had to grab it. How could I not? The website, nectarales.com, is currently being developed, so let’s just try it and see for ourselves what it’s all about. Let’s give it a pour. It came in a 12 oz. bottle with an ABV of 5.7%. It poured a clear brown color with some deep, burnt orange highlights around the bottom. The crown was light tan, smooth, creamy and sized well. The retention time seemed to be below average and the lacing was a touch thin. It smelled a lot like a typical brown ale except for the fact that it was a little less intense. It had all of the proper characteristics. Scents of herbs, earth and leafy goodness. Additional aromas of toasted grain and biscuit with a light nuttiness. The flavor seemed to be a little more forthcoming with the toasted grains. Some grassiness was detected as well. I retrieved some savors of toasted breads, walnuts and even a slight relish of wood. The earthiness really came to the forefront as it began to warm. Absolutely no bitterness was to be had. The mouthfeel was medium bodied. Nicely dry, smooth and chewy with a good medium strength carbonation. An ok amount of flavor was left behind on the palate after each sip as well. Well, this was an ok beer I guess. It wasn’t anything out of the ordinary or too crazy. I can’t say that I really detected anything in the way of the hemp besides the light woodiness. I’d say it’s probably more of a publicity stunt than anything. Oh well, it would still be worth a try this Fall I guess. The drinkability was pretty easy though. I wouldn’t turn it down if it were offered, however I doubt that I would go out of my way to find it either. So, with that being said, give the Nectar Ales Humbolt Brown (Hemp Ale) a try if you see it. Be sure to tell me of your opinion once you do.